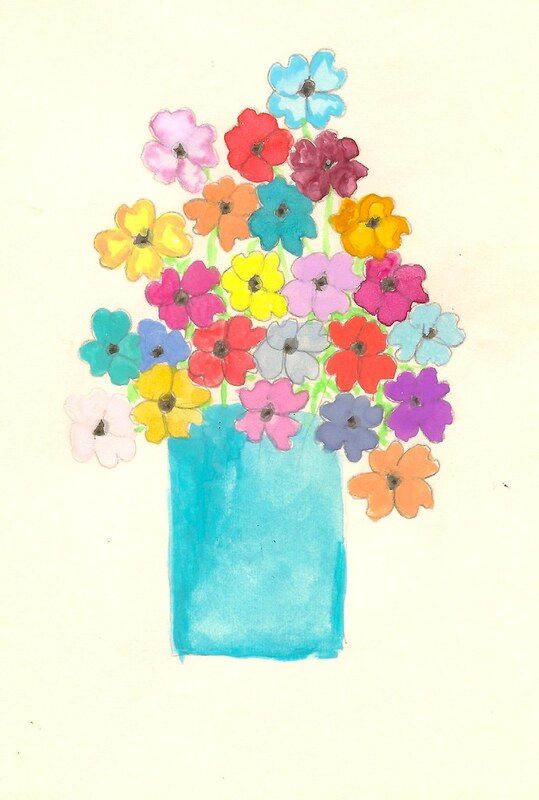 The Liberate Your Art postcard swap has been announced. I've participated for a number of years and it is a lot of fun. In the past I've sent one of my photographs. This year I decided to send one of my art pieces. 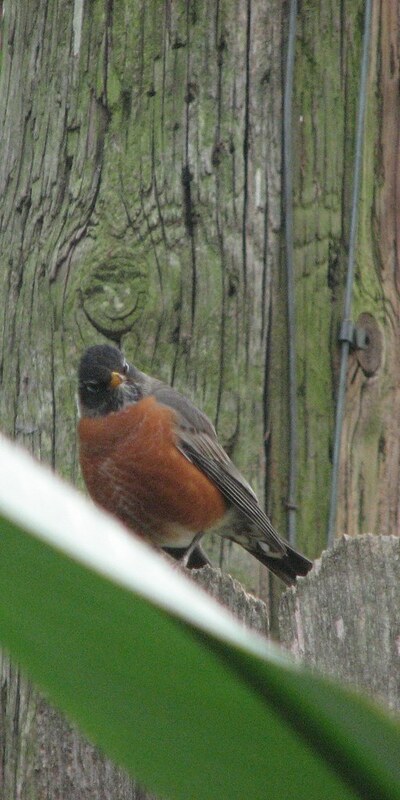 I thought they might like seeing a little "Spring Fling"! this little guy came to visit. I think he enjoyed the buffet. The green you see in the photo is now brown. I would have had to cover the whole back yard in preparation for our big freeze. Seeing what makes a triumphant return to life will be an adventure! I'm going to Commit To Sit! I joined this group several years ago and I need a refresher course. 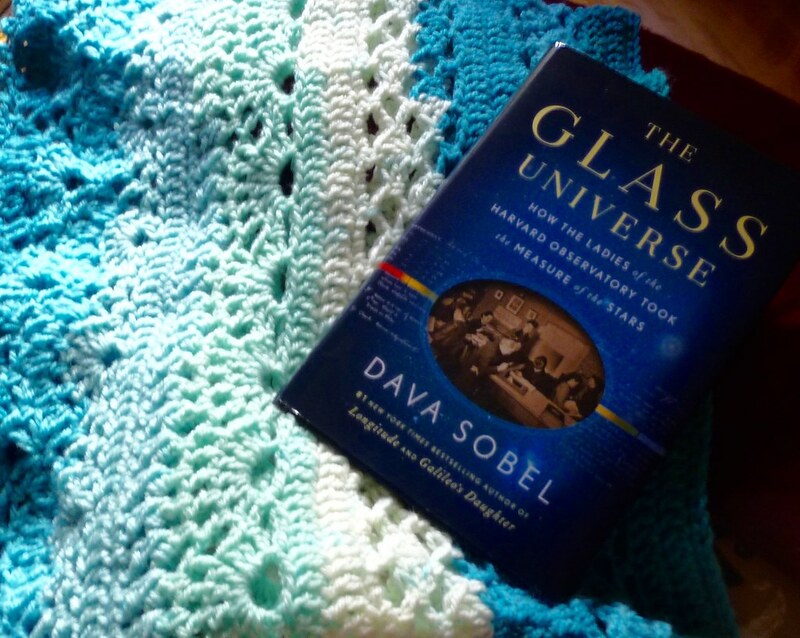 I'm still reading The Glass Universe by Dava Sobel. I found my copy of Real Happiness and am ready for the Commit to Sit month. 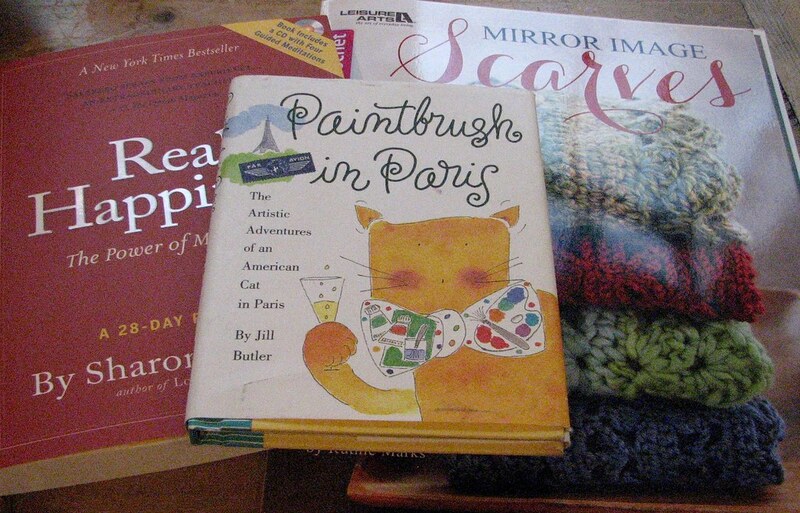 Paintbrush in Paris is about a cat in Paris written by illustrator Jill Butler. Seems like I've been looking for a copy for ages -- adorable and a fun look at Paris. Last, but not least, by Leisure Arts, Mirror Image Scarves. 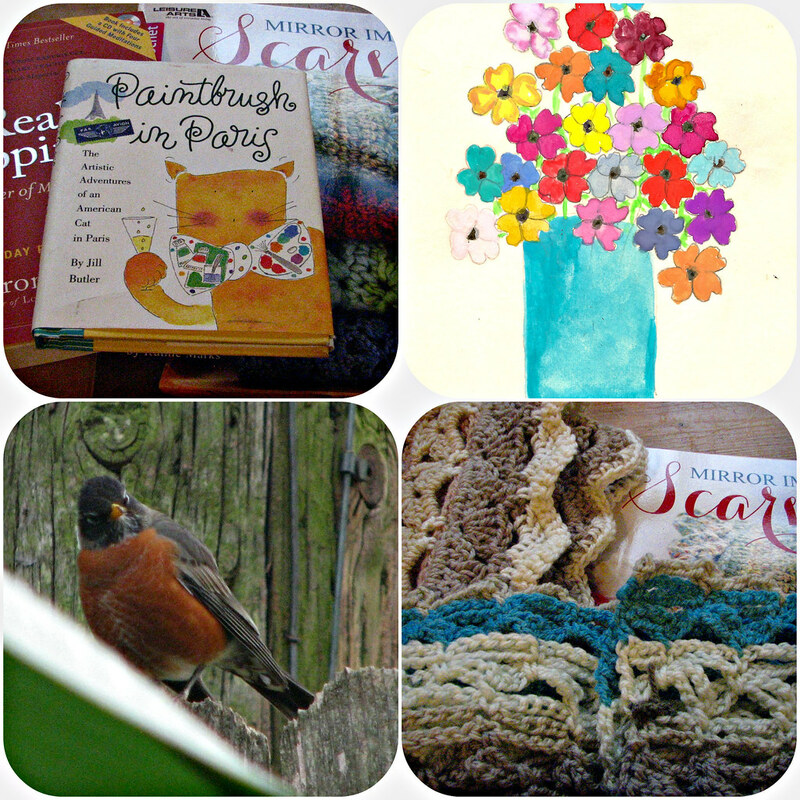 Rainy days were made for reading and crocheting. 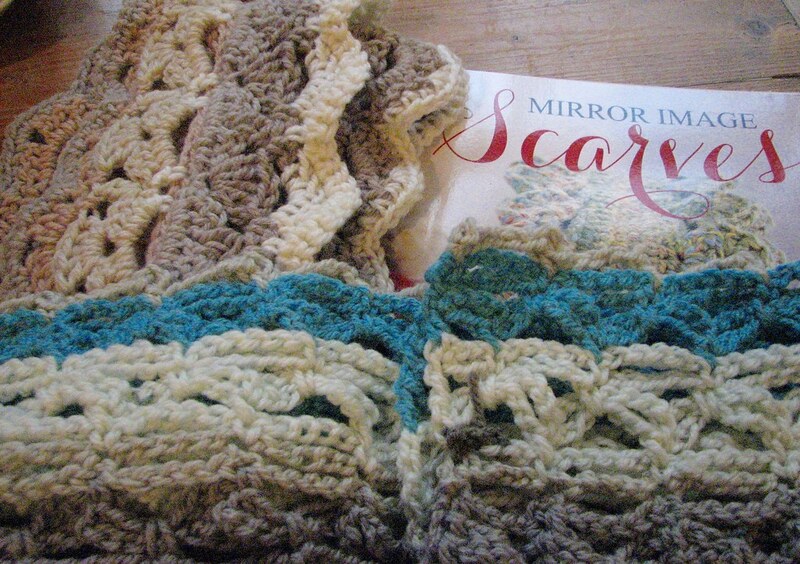 So far, I've made two of the Mirror Image Scarves. I'm using up my stash of Caron Cakes -- bought when they were on sale. I'm liking how they are looking. I make a copy of the pattern. notes to myself -- even about the yarn. 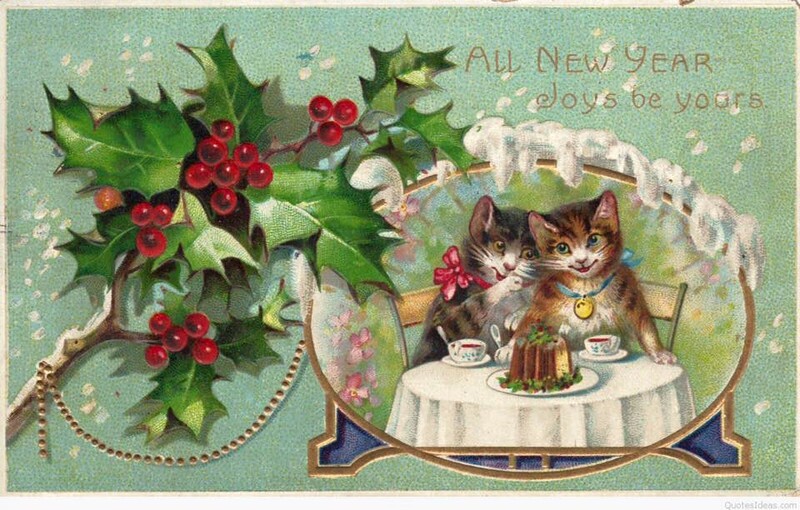 Did you stay up and bring in the New Year? Have to do something to frighten off the demons! Did you eat lucky food? In my neck of the woods, black-eyed peas are the tradition. I like the tradition of eating 12 grapes like they do in Spain. Did you drink a special beverage? I didn't make it to the magic hour. New Year's concert and had a glass of Prosecco. 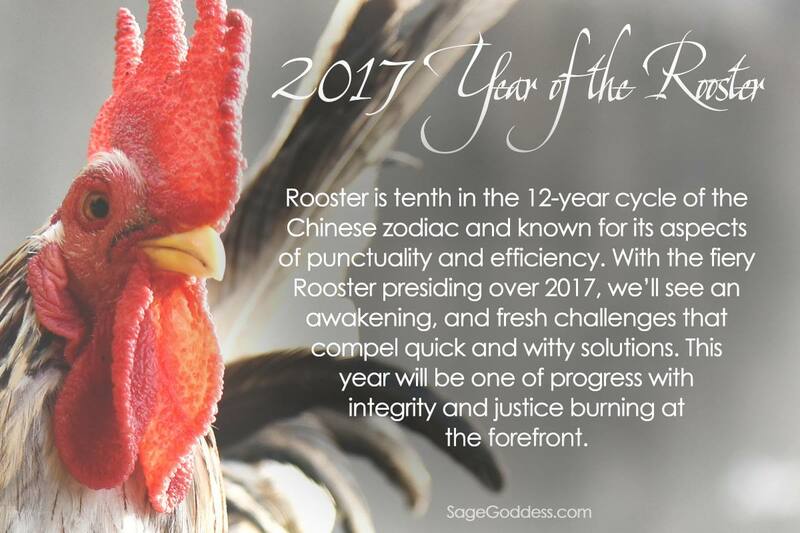 on the Lunar New Year. Thank you to SageGoddess.com for the photo. 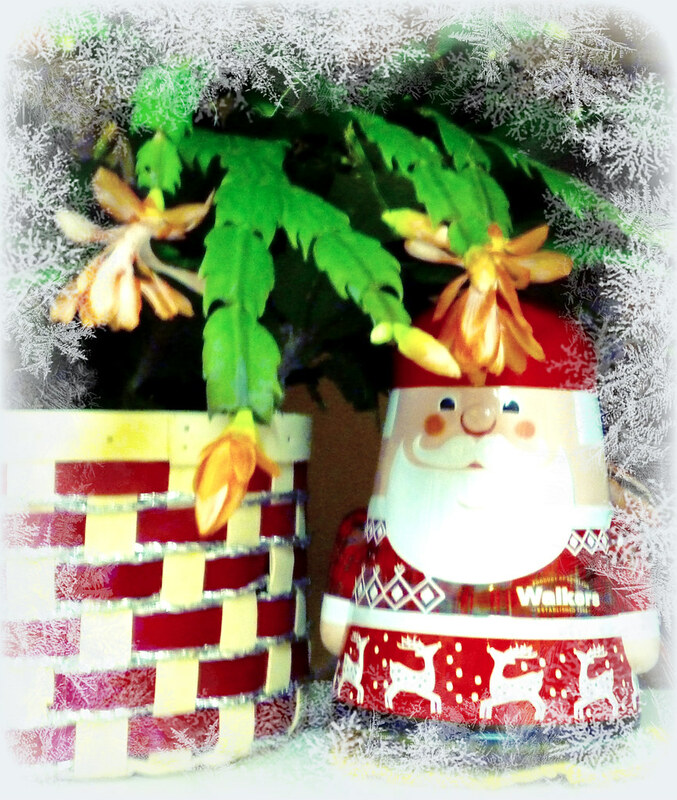 My Christmas cactus started blooming the day after Christmas. of Trader Joe's mini-gingerbread men. but the tree is still up! enjoy it and maybe by Valentine's Day it will be down! Ha! My friends and family know me well. 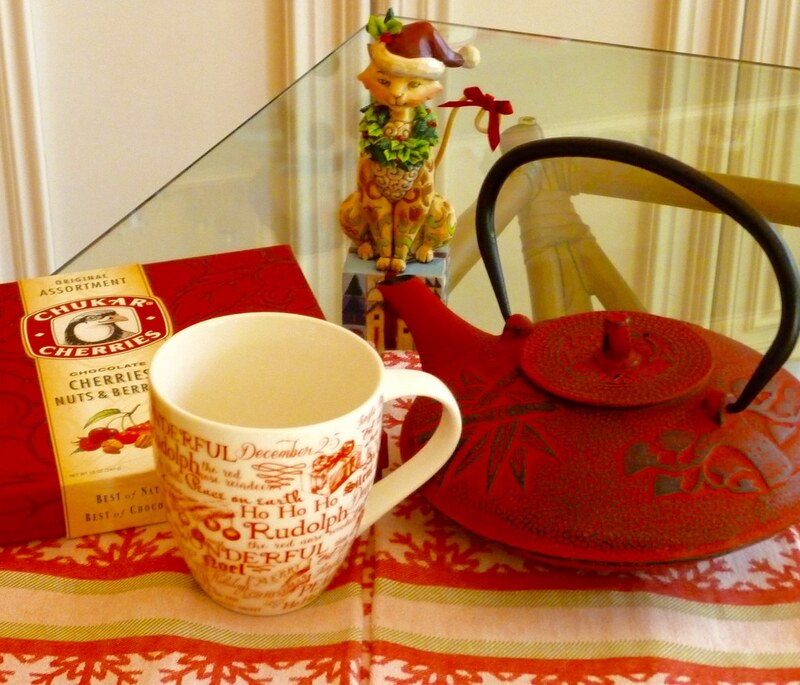 I have a new holiday mug -- nice, big, sturdy and I love the red and white. 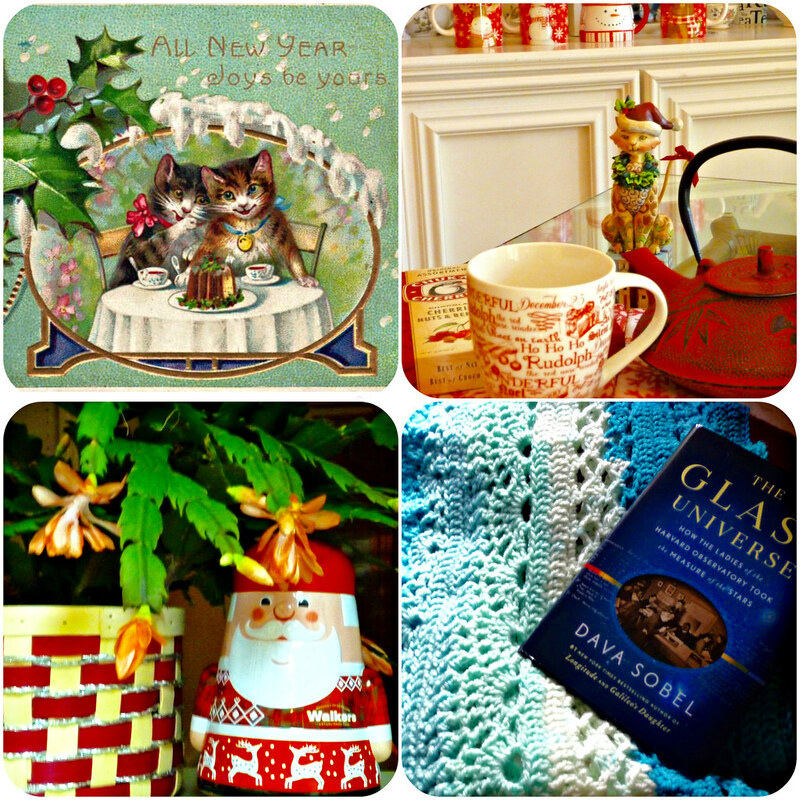 Yes, the teapot was a gift, too. My beautiful step-daughter sent me a box full of "made in Washington"
goodies -- the chocolate covered Chukar Cherries go well with tea! The towels have lovely snowflakes. This is the second Shin-yu Infinity Scarf I've made with Caron Cakes. before I got a picture of it. This is a wonderful crochet pattern by ChiChi Allen. The directions are clear and precise and she includes photos. The pattern can be found on her Ravelry site or her blog. I just started The Glass Universe. and the role women played in the early days.